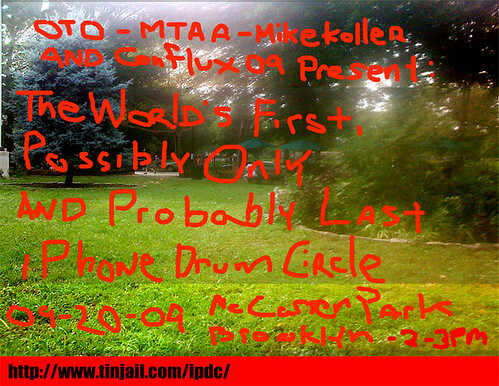 Who: MTAA in collaboration with Mike Koller and anyone with an iPhone and a drum or bongo application. 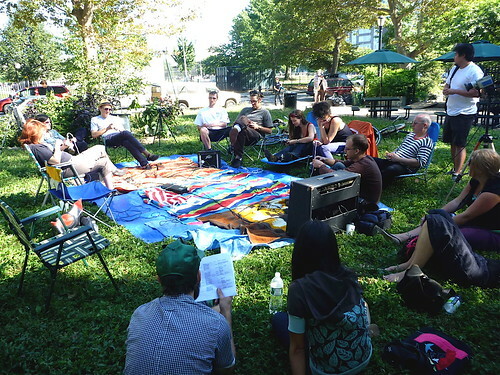 What: a 1-hour iPhone drum circle in a park. Where: McCarren Park, Williamsburg, Brooklyn (Driggs and union near Green Dome Garden). Why: it is an idea that needs to be attempted at least once.